All leaders share at least one common goal: generate better business results – better than the year before, better than last quarter, and better than the competition. 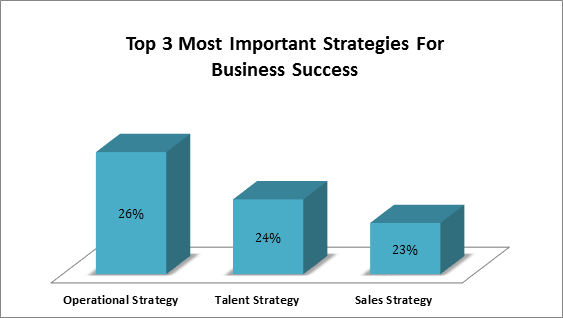 In fact, ranking behind only the organization’s business strategy, 24% of organizations surveyed in Brandon Hall Group research cite high-performance talent strategies as the quickest path to generating and sustaining business results. Yet, despite the ongoing talent priorities of productivity, engagement, and retention, 37% of organizations advise that their approach to managing talent is under-performing or low-performing. That’s no surprise when many organizations are still wrestling with defining exactly what talent management means. Is it executive development? Is it performance management? Is it all talent processes (talent acquisition, performance management, leadership development, etc.)? Is it separate from the people strategy? Add to that confusion the list of talent priorities that survey respondents highlighted as challenges: identifying key positions, developing leaders, aligning learning with business goals, creating opportunities to grow experiences, measuring outcomes, predicting talent requirements – and that is just the beginning of the list. Finally, consider today’s economic, industrial, demographic, and technological sea change that influences talent decisions and actions, and the ambiguity about how to design and implement talent management can be overwhelming, and very uncertain. Sometimes starting with “what not to do” or knowing the warning signs of failure are insightful to creating a high-performance strategy. After multiple conversations with business leaders in more than 10 industries, at least three signs of struggling talent strategies are clear. The best organizations have the best leaders – at all levels. The best leaders have focus and are galvanized around mutual and complementary execution of business goals regardless of their level, their region, or the function they support. Further, the best leaders are committed to providing opportunities for growth of others – personally and professionally. And, your best leaders represent a small fraction of the total organizational employee segment. These critical few leaders likely occupy C-suite and other senior positions in sales and other critical functions, are select incumbents in the mid-level leader segment, are new supervisors with the most acumen and people skills, or are the highest performing individual contributors. The highest-performing organizations disproportionately invest in developing the strengths of these critical few. Targeted development of these few top performers is essential in optimizing the performance of all employees and the organizational at large. Investing in the development of the highest-performing leaders starts with knowing who they are. Yet on average, two-thirds of organizations have not – or only in ad hoc ways — identified critical talent segments and those who have the greatest potential to assume next-level roles. The best organizations attract and keep customers and attract and keep top talent. 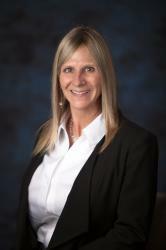 Business brand is all about consumers loving what your organization stands for and the products and services you offer. Employment brand is all about attracting the best talent in the industry to work with you and keeping them after you have them. If candidates’ perception is not quite as top-box as consumers’ perception, it could be for any number or all of the following reasons: too little investment in employee development, non-competitive pay and benefits, undesirable location, inflexible work arrangements, and poor reputation. In short, employment brand is eroded when candidates perceive an organization’s culture is distasteful. Developing an employment brand strategy helps keep organizations honest about their self-assessment of internal culture and exposes opportunities for improving it. 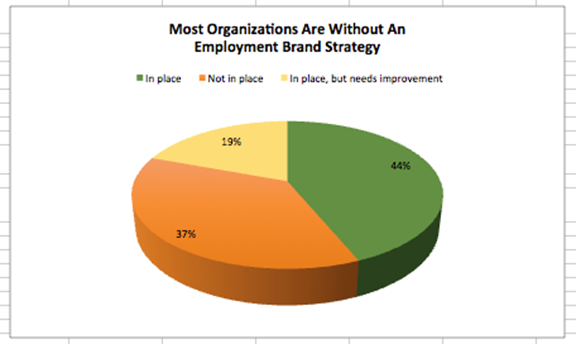 Yet, 37% of organizations have yet to create an employment brand strategy. Another 19% say it needs improvement. Wooing top talent is hyper-competitive. Keeping top talent is even more so. There is tremendous pressure for organizations to wear the “Great Place to Work Hat,” and it may start with a great employment brand, but it doesn’t end there. After the hiring and onboarding, employees want choices in what work they will do, how they will get it done, how they will be enabled and developed to get it done, and how their performance will be measured. All employees – whether new in their career or veterans – are amplifying the demand for flexibility and choice in the workplace. This does not mean 6,000 different development solutions for your 6,000 employees. This does not mean eight different performance management processes for each of your eight different business units. This means the entire organization marching collectively and in lock step with each other toward the achievement of common business goals yet enabling talent processes that are agile and can flex to some reasonable degree with the unique needs of the person, the business unit, and the region. Allowing a level of reasonable choice around common processes matters. Organizations that implement talent strategies that allow overlap of individual and team choices with the execution of the single mission of the business will outperform those that do not – in both talent metrics and business performance. 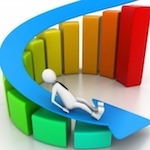 Could your talent strategy be optimized? If so, is there a need to focus on finding and developing the critical few? Is it about creating a collaborative and transparent, healthy and productive culture? What about enabling choice and flexibility without eroding enterprise-wide execution of your business strategy? Employment brand needs to be just as strong as the business brand. A big part of this is your current employees. If they’re happy, they’re going to speak positively about the company which is what prospective employees want to hear.